Kaiser and Azra Lashkari of Himalaya Restaurant in Houston. Photo courtesy of Kaiser Lashkari. Himalaya Restaurant at 6652 Southwest Freeway is now 15 years old. 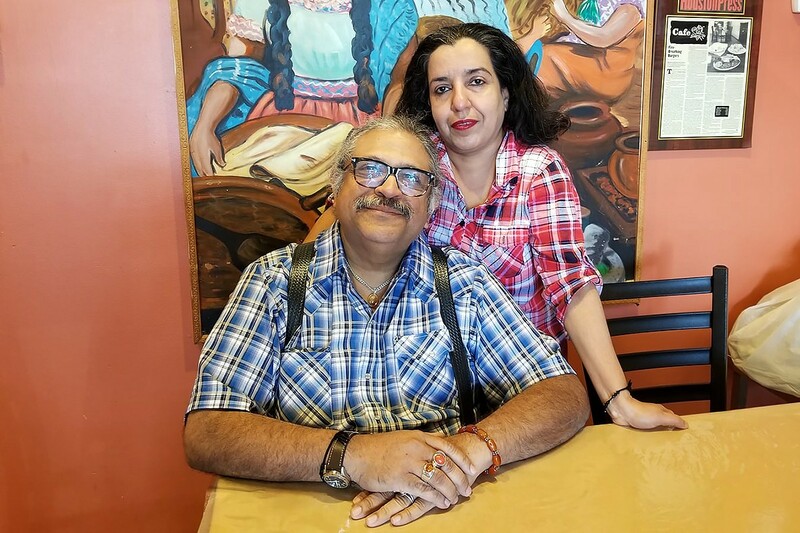 Owned and operated by Kaiser and Azra Lashkari, it has received much acclaim both locally and nationally and is a regular haunt for avid Houston diners. The spotlight on Himalaya grew particularly bright after the late chef and writer Anthony Bourdain visited Himalaya in 2018 and featured it on his CNN show, Parts Unknown. More recently, Andrew Zimmern dined there as part of his Houston restaurant tour for his Travel Channel show, The Zimmern List. 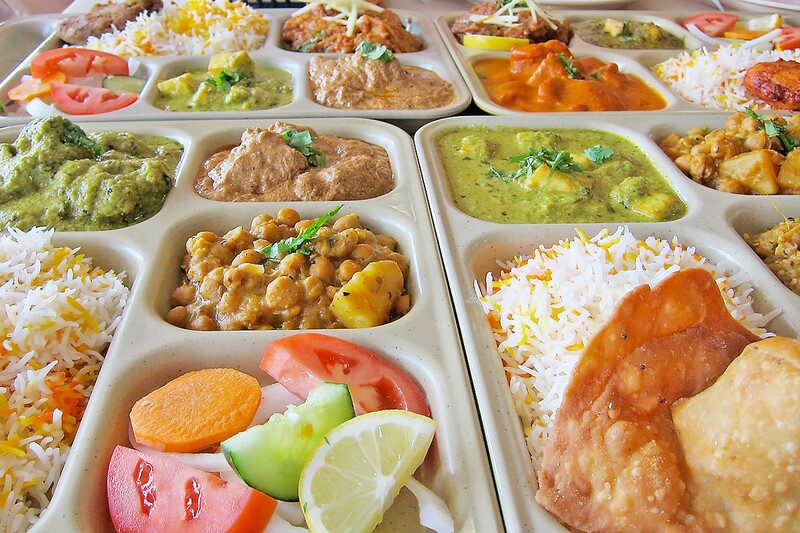 A bevy of lunch trays at the ready at Himalaya restaurant in Houston. Photo by Jay Francis. A native of Karachi, Pakistan, Kaiser was originally supposed to be a doctor and says he was only two years away from a medical degree, but after discovering a love of cooking instead moved to Houston and attended the Hilton College at the University of Houston. There, he earned a master’s degree in hotel and restaurant management. After gaining experience at other businesses, he and Azra opened a tiny, ten-seat restaurant on the corner of Beechnut and Kirkwood called Kaiser’s. Later, the Lashkaris closed that one in favor of a bigger space with a new name in the Mahatma Gandhi District: Himalaya. 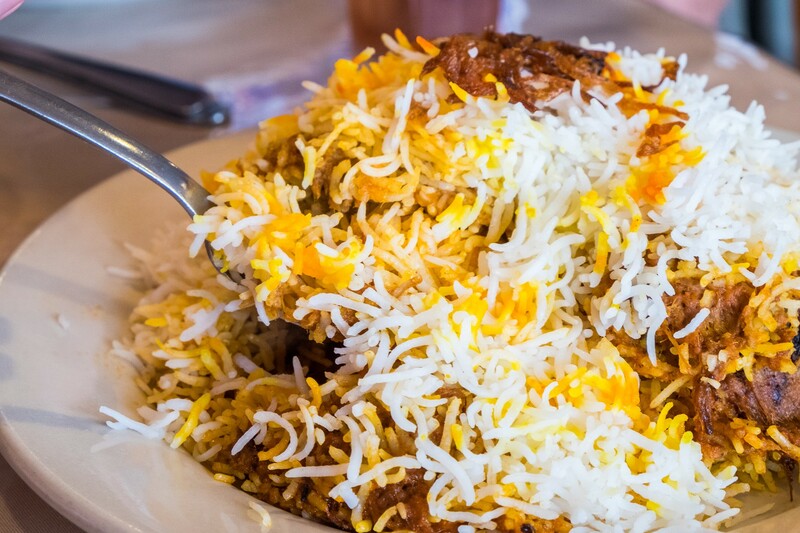 The biryani at Himalaya is one of its most popular dishes. Photo by Phaedra Cook. The Lashkaris are the definition of “hands-on owners.” Other than Mondays, the one day a week the restaurant is closed, both are usually at the restaurant. For the first time in 2018, the Lashkaris decided to take off for Thanksgiving. “For the last six or seven years, we’d make Masala Turkey. I’d have 25 or 30 orders, so I’d work around the clock and sleep at a nearby motel on Hillcroft. I’d come in overnight to turn the turkeys and adjust the temperature. It was a lot of work and last year, I said, I just need to relax. I’m not young anymore,” he said with a laugh. They also got lucky that year when Christmas Eve and New Year’s Eve happened to fall on a Monday. 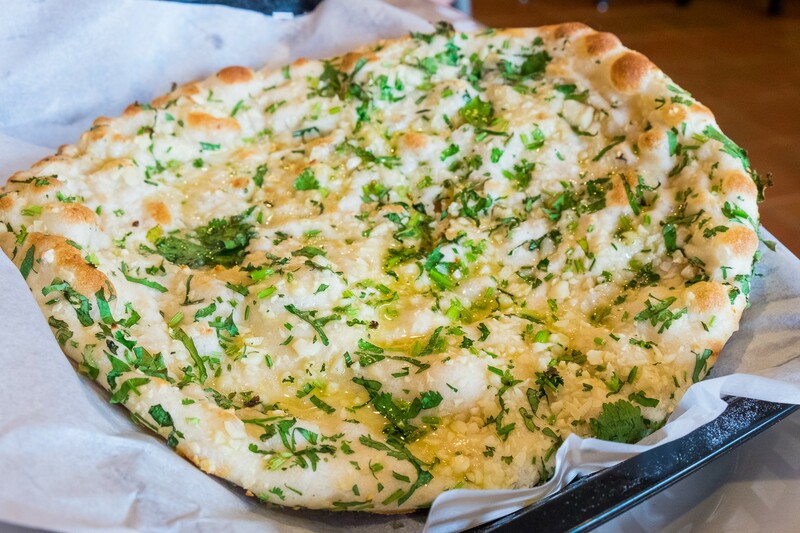 Garlic naan at Himalaya restaurant in Houston. Photo by Phaedra Cook. Another difficult moment was when Lashkari went out to purchase spices from a wholesaler for the restaurant. For whatever reason, the proprietor didn’t have the lights on and Lashkari walked off the back of a loading dock and fell six feet onto concrete. “I broke and dislocated my shoulder. I went to the emergency room, they fixed me up and I was back at the restaurant the next day cooking for a party. That’s the party I’d went to buy the special spices for. You know us Aries — come hell or high water, if we want to do something we do it against all odds. We are fighters.” Lashkari ended up cooking with one arm for a few weeks after that. Himalaya’s signature green curry. Photo by Phaedra Cook. Himalaya’s visibility can be at least partially credited to Lashkari’s innovative dishes that combine his culinary heritage with the flavors of his adopted home. 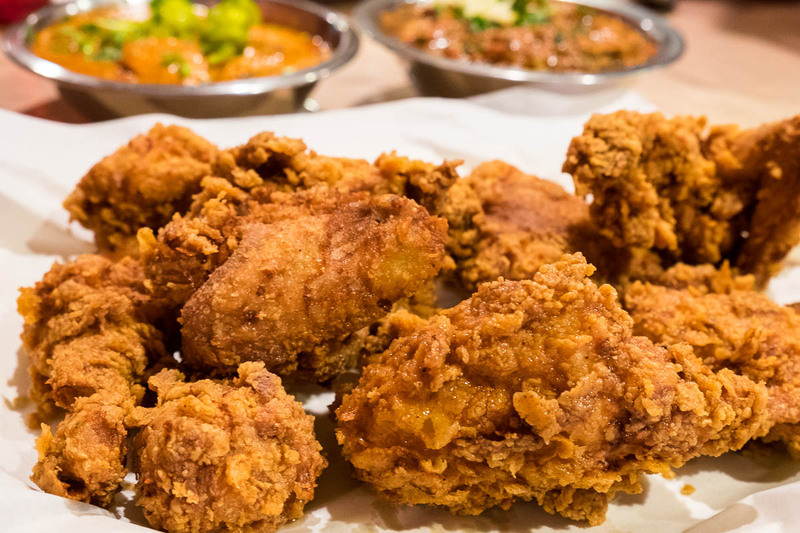 Some of those attention-getting renditions include masala-infused fried chicken, chicken fried steak served with “cream gravy” that has coconut milk as the base and brisket. Lashkari also serves his own twist on chicken and dumplings on occasion, as well crawfish étouffée, bisteca and “Parathadilla” — his take on a quesadilla on Indian flatbread. He says he’s currently developing a Pakistani version of Mexican mole and a Spicy Masala Meatloaf. 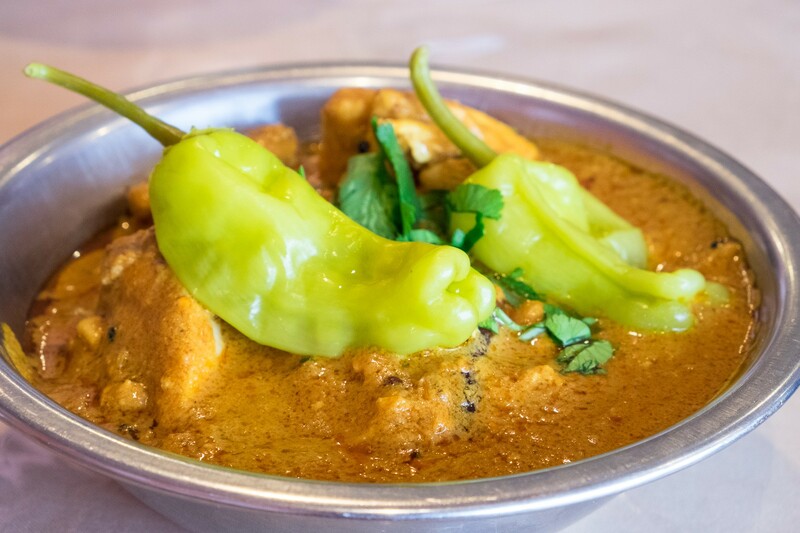 Lashkari says that he believes the adage, “You’re only as good as your last dish.’” “You can’t just keep basking in your past laurels and not do anything new and inventive. You have to keep the guests interested. How much biryani and chicken curry can they eat? 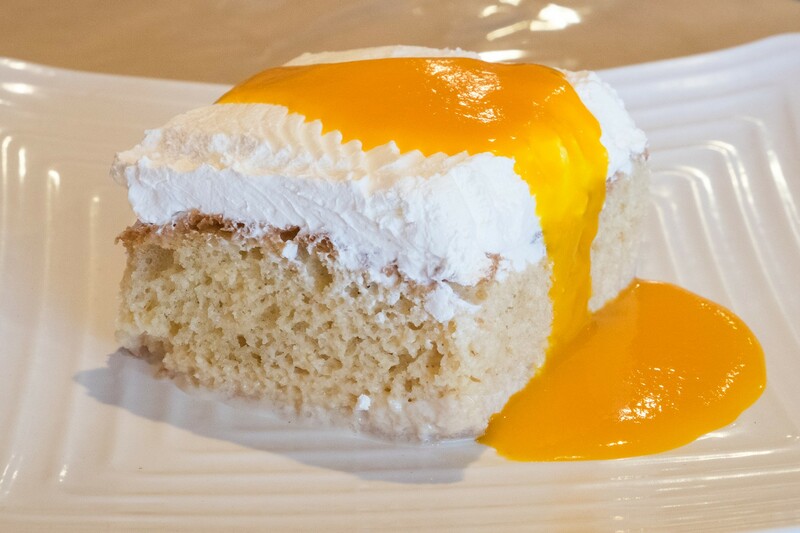 You have to do other things that people will like.” That said, both of those classic dishes are Himalaya’s hallmarks. Asked for advice for up-and-coming restaurateurs, Lashkari emphasizes that having a highly visible restaurant location is important, even if that means paying a little more for rent. “Look for that location where people can easily visit,” he said. In addition, in Houston, a widespread city where most people drive rather than use public transportation, Lashkari says the importance of offering adequate parking can’t be emphasized enough — and he has some experience with that. “My previous restaurant had only three parking spaces per tenant. When I started to enforce my parking rights, someone scratched my car, broke the glass front windows, damaged the fan on the roof and put gum in my front door lock. I think someone was trying to make me move so they could have my parking.” As it was, he stood his ground until he opened Himalaya. Kaiser and Azra have created a truly special restaurant; one of the very finest in Houston. We’ve sent dozens of friends there, and all have shared with us stories of superlative meals and outstanding hospitality. Kaiser is a true Houston icon. Ignore the folks who are jealous of his tremendous success. This is the worst restaurant in Houston. The staff is inattentive, except when it is time to pay the bill. And when they do pay attention, they are extremely rude. Food is good but the attitude of Mr. Lashkari towards customers especially Southeast Asian customers is very bad. I don’t feel welcomed to his restaurant. They are NOT dependent on southeast Asian customers anymore. Their repeat customers are Americans (non-desi) and that’s where their revenue is generated from. So do not expect courtesy & hospitality from them. They have grown big enough. Just eat your food, pay the money & get out. When you say they’re not courteous or hospitable, could you give some examples? Do you have personal experience with that?